Teed Michael Moseley was born on 3 September 1949 in Grand Prairie, TX. He graduated from Texas A&M University in 1971 with a Bachelor of Arts degree in Political Science and entered the U.S. Air Force. He commanded the F-15 Division of the Air Force Fighter Weapons School at Nellis AFB, NV, the 33rd Operations Group at Eglin AFB, FL, and the 57th Wing, the Air Force's largest, most diverse flying wing, also at Nellis. 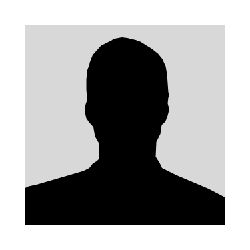 Moseley has served as the combat Director of Operations for Joint Task Force-Southwest Asia. He also commanded 9th Air Force and U.S. Central Command Air Forces while serving as Combined Forces Air Component Commander for Operations Southern Watch, Enduring Freedom and Iraqi Freedom. Moseley's staff assignments were a mix of operational, joint and personnel duties. These include serving in Washington, DC, as Director for Legislative Liaison for the Secretary of the Air Force; Deputy Director for Politico-Military Affairs for Asia/Pacific and Middle East, the Joint Chiefs of Staff; Chief of the Air Force General Officer Matters Office; Chief of Staff of the Air Force Chair and Professor of Joint and Combined Warfare at the National War College; and Chief of the Tactical Fighter Branch, Tactical Forces Division, Directorate of Plans, Headquarters U.S. Air Force. 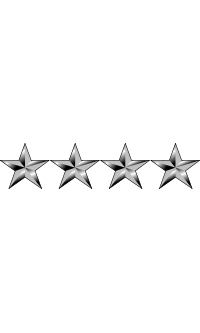 On 1 October 2003, Moseley was promoted to the four-star rank of General and named as Vice Chief of Staff, U.S. Air Force (VCSAF). 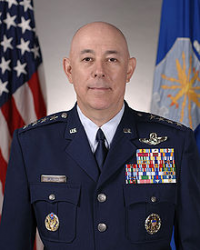 On 2 September 2005, Moseley assumed the position of Chief of Staff of the Air Force during a ceremony at Andrews Air Force Base. As a result of a series of high-profile scandals, Moseley, along with the Secretary of the Air Force, was forced to resign-his resignation coming on 5 June 2008 in the wake of a report that criticized the Air Force's handling of nuclear weapons security related to the 2007 U.S. Air Force nuclear weapons incident and a misshipment of nuclear missile components to Taiwan. Following his resignation, Moseley continued to serve as Chief of Staff of the Air Force until his official retirement ceremony. On 11 July 2008, Moseley's formal retirement ceremony took place at Bolling Air Force Base in Washington, DC. Former Secretary of the Air Force, the Honorable Michael Wynne presided over the ceremony. Moseley officially retired from the Air Force on 1 August 2008. Members of the U.S. Air Force were under investigation by the FBI for having awarded a $50 million contract for audio-visual presentation services to Strategic Message Solutions (SMS) of Plymouth Meeting, Pennsylvania. The contract involved the "Thundervision" project, meant to provide oversized video screens and perhaps content services during air shows that featured the Air Force Thunderbirds. The investigation revolves around possible involvement of former Chief of Staff of the Air Force Gen. (Ret.) John Jumper, and Chief of Staff of the Air Force T. Michael Moseley. It is suggested that the contract price was inflated, because a friend of the two generals, Air Force General (Ret.) Hal Hornburg, was associated with Strategic Message Solutions. Two companies involved in the bidding process protested award of the contract in January 2006, one having offered comparable services for half as much. The Air Force cancelled the contract in February 2006. In July 2009, the DoD IG concluded that Moseley violated Federal rules and regulations by helping steer the Thunderbirds promotion contract to SMS. The investigation found that Moseley gave SMS personal access to his office and direct access to USAF resources before the contract bid, including personnel and equipment. The IG also concluded Moseley improperly solicited and accepted gratuities from the owner of SMS, including arranging for a friend to fly in the owner's vintage fighter plane and accepting dinner and an overnight stay at the SMS owner's home. In October 2009, Secretary of the Air Force Michael Donley issued Retired General Moseley a "Letter of Admonishment in Retirement" for his actions. • June 1972 - May 1973, student, Undergraduate Pilot Training, Webb AFB, TX. • May 1973 - July 1977, T-37 Instructor Pilot and spin flight test pilot; flight check pilot, and standardization and evaluation flight examiner, 3389th Flying Training Squadron, 78th Flying Training Wing, Webb AFB, TX. • July 1977 - September 1979, F-15 Instructor Pilot, Flight Lead and Mission Commander, 7th Tactical Fighter Squadron, Holloman AFB, NM. • September 1979 - August 1983, F-15 Weapons and Tactics Officer, Instructor Pilot, and Flight Lead and Mission Commander; standardization and evaluation/ flight examiner, 44th Tactical Fighter Squadron and 12th Tactical Fighter Squadron, Kadena AB, Japan. • August 1983 - June 1984, Course Officer, Air Command and Staff College, Maxwell AFB, AL. • June 1984 - June 1987, Chief, Tactical Fighter Branch, Tactical Forces Division, Directorate of Plans, Deputy Chief of Staff for Plans and Operations, Headquarters U.S. Air Force, Washington, DC. • June 1987 - June 1989, Commander, F-15 Division, and Instructor Pilot, Fighter Weapons Instructor Course, U.S. Air Force Fighter Weapons School, Nellis AFB, NV. • June 1989 - June 1990, Course Officer, National War College, Fort Lesley J. McNair, Washington. • June 1990 - August 1992, Chief of Staff of the Air Force Chair and Professor of Joint and Combined Warfare, National War College, Fort Lesley J. McNair, Washington. • August 1992 - January 1994, Commander, 33rd Operations Group, Eglin AFB, FL. • January 1994 - May 1996, Chief, Air Force General Officer Matters Office, Headquarters U.S. Air Force, Washington. • May 1996 - November 1997, Commander, 57th Wing, Nellis AFB, NV. • November 1997 - July 1999, Deputy Director for Politico-Military Affairs, Asia/Pacific and Middle East, Directorate for Strategic Plans and Policy, the Joint Chiefs of Staff, Washington. • July 1999 - October 2001, Director, Legislative Liaison, Office of the Secretary of the Air Force, Headquarters U.S. Air Force, Washington. • November 2001 - August 2003, Commander, 9th Air Force and U.S. Central Command Air Forces, Shaw AFB, SC. • August 2003 - August 2005, Vice Chief of Staff, Headquarters U.S. Air Force, Washington. • September 2005 - July 2008, Chief of Staff, Headquarters U.S. Air Force, Washington. Moseley personally "adopted" the U.S. Air Force Academy Class of 2009 as his own, and has gone out of his way to address the future leaders of the U.S. Air Force. On 8 March 2007, the Grand Prairie ISD school board unanimously voted to name an elementary school opening in the 2007-08 school year, Mike Moseley Elementary School, in honor of his achievements and as a native of Grand Prairie.